Multi Fuel Multi Gas Extender Torches. The torch can be modified to whatever length is required for your application. The combustion chamber can be rotated to direct the flame to a comfortable working angle. Torch is supplied with a 180° head. To change angle, add any angled pipe fitting. 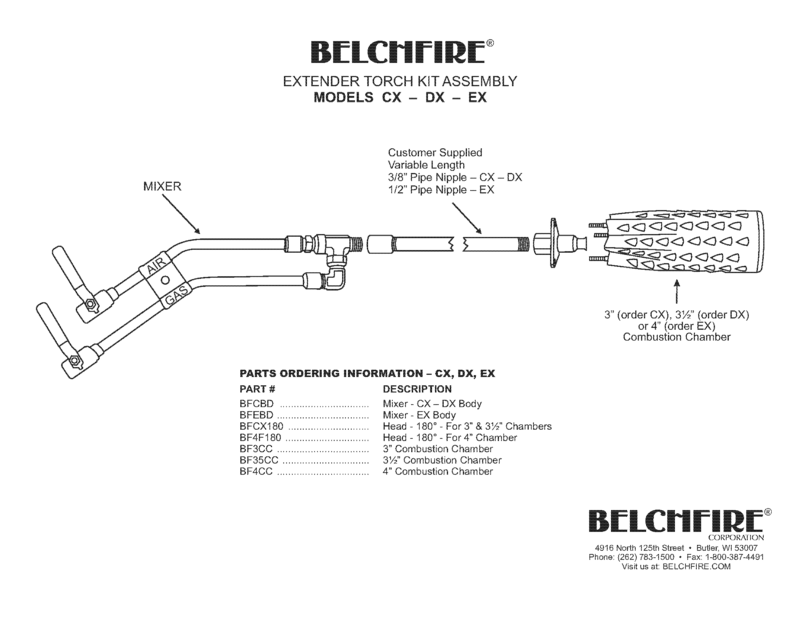 BELCHFIRE © gaseous fuel plus air torches burn all commercial LP type fuels or natural gas combined with 50 – 150 psi compressed air. No orifice changes or modification are required when changing from one gas to another. They are instant lighting and have a completely adjustable flame.